Acute myeloid leukemia (AML) is a heterogeneous hematological malignancy. Treatment of patients suffering from high-risk AML as defined by clinical parameters, cytogenetics, and/or molecular analyses is often unsuccessful. OSI-461 is a pro-apoptotic compound that has been proposed as a novel therapeutic option for patients suffering from solid tumors like prostate or colorectal carcinoma. But little is known about its anti-proliferative potential in AML. Hence, we treated bone marrow derived CD34+ selected blast cells from 20 AML patients and the five AML cell lines KG-1a, THP-1, HL-60, U-937, and MV4-11 with the physiologically achievable concentration of 1 μM OSI-461 or equal amounts of DMSO as a control. Following incubation with OSI-461, we found a consistent induction of apoptosis and an accumulation of cells in the G2/M phase of the cell cycle. In addition, we demonstrate that the OSI-461 mediated anti-proliferative effects observed in AML are associated with the induction of the pro-apoptotic cytokine mda-7/IL-24 and activation of the growth arrest and DNA-damage inducible genes (GADD) 45α and 45γ. Furthermore, OSI-461 treated leukemia cells did not regain their proliferative potential for up to 8 days after cessation of treatment following the initial 48 h treatment period with 1 μM OSI-461. This indicates sufficient targeting of the leukemia-initiating cells in our in vitro experiments through OSI-461. 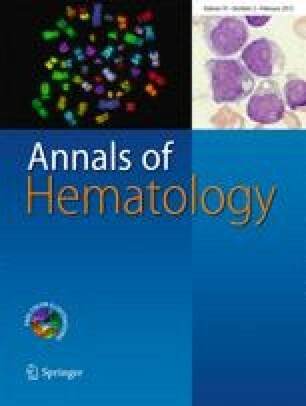 The AML samples tested in this study included samples from patients who were resistant to conventional chemotherapy and/or had FLT3-ITD mutations demonstrating the high potential of OSI-461 in human AML. We would like to thank Annemarie Koch for excellent technical assistance. A.C. and I.B. are supported by grants from Leukämie Liga e.V. Düsseldorf, Germany and the Forschungskommission of the Heinrich-Heine-University, Düsseldorf, Germany. A.C. is further supported by the Deutsche Krebshilfe through a Dr. Mildred Scheel fellowship award and by a research fellowship award from the European Association of Hematology (EHA). L.F.Z. is supported by Department of Defense grants PC051217 and OC0060439.